Walking down Broadway in New York City where I live, the ads plastered on the plate glass windows of low cost retailers make it clear that Back to School is for many students a time of shopping to get up to date with the most recent trends for the coming school year. Yet the 20 students I had the privilege of working with over the summer are setting their own trend in their community. For these students the coolest item of the season is not about what a celebrity is wearing, or what store has the most exclusive name. The trend they have set is about their own creativity and compassion. It's awesome to think that an entire school could show up for the first day of classes wearing shirts that encourage condom use and social acceptance of people living with HIV/AIDS. 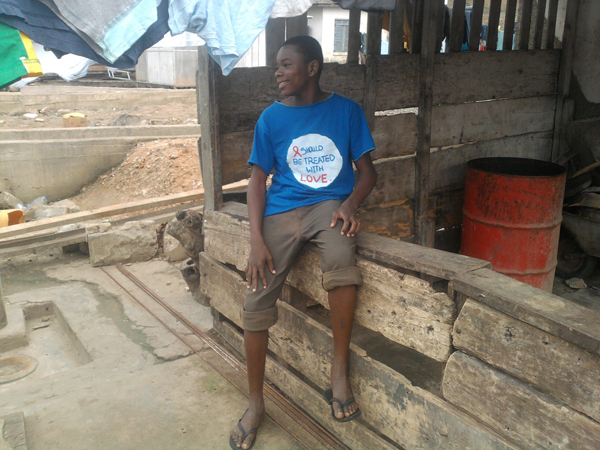 As last minute Back to School fashion deals abound, the Passion Squad peer educators and over 100 residents of the Labadi Town community where we make our clothes in Accra, Ghana are wearing the difference. 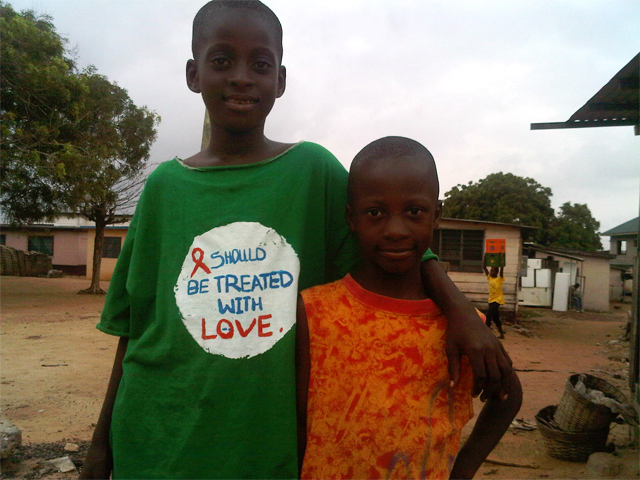 Members of the Passion Squad peer education program that the organization Of Rags ran in partnership with the West Africa AIDS Foundation designed t-shirts, made story books and created video skits to educate their friends and family members about HIV/AIDS. The point of the program is to deliver information in a fun way. That is exactly what we did! Many of the 20 middle schoolers who make up the Passion Squad dream of being actors, directors, artists and designers. With the help of the Of Rags production team, the students were each able to realize those dreams -- even if only on a seemingly small scale. When the Passion Squad students gave out the shirts and played the videos, their peers looked up to them as true leaders in the community. Now, as they return to the classroom for the start of the next term, I can't imagine what it must feel like for them to see their designs being worn all around Labadi Town. 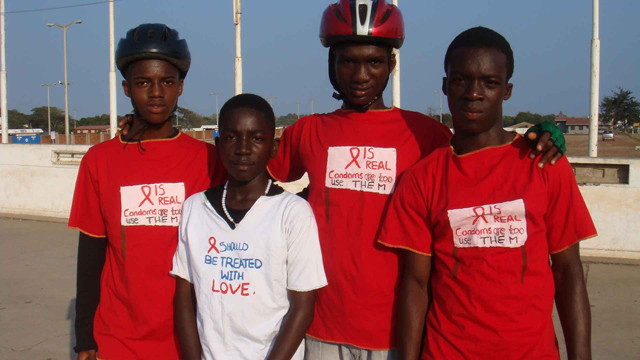 Members of the Unity Skate club, co-founded by the Of Rags finishers, wear the shirts as their uniforms. For me this was also a dream come true. Two years ago when I started Of Rags, I worked on the Passion Squad program as an intern with West Africa AIDS Foundation. Despite my best efforts the program suffered from a lack of resources. I knew that Of Rags would change that.